1991. A young man holed up in his apartment is watching the ‘shock and awe’ of Desert Storm, forging sick notes to avoid work, mesmerised by the rolling news, spellbound yet increasingly numb, he gradually sabotages his whole life: fired from his job, his relationship in ruins and, he reaches rock bottom and returns to his home town, Lyon. There, at a local market, he meets Victorien Salagnon, an elderly artist, a veteran of so many wars they have merged into one, a man as accomplished with a brush a he is with a semiautomatic. Together, they strike a bargain: Salagnon will teach the young man the art of the brush, in return, he wants the story of his life to be written. So Salagnon begins his tale – from a teenage résistant in Nazi occupied France, through hunting rebels in Indochina and engaging in torture in Algeria, he puts words to the deaths that were as numberless as they were senseless; he reveals the killing fields on which the modern world is built. 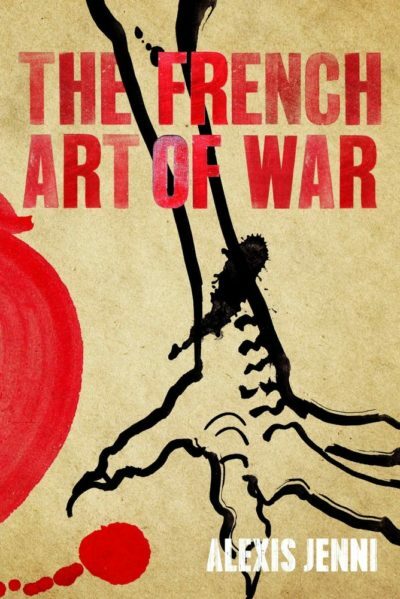 Spanning half the world and half a century, The French Art of War is a humane, horrifying and blistering account of colonialism and conflict, the uneasy intervals of peace and the moments of unspeakable savagery that have shaped a modern continent and its many discontents.